Cable35 are an alternative rock band formed in Malta but now based in Sheffield, UK. The band decided to move to the UK due to their passion of performing live. They decided Sheffield gave them this opportunity and was kind of central, geographically speaking. The band consists of Jeff (vocals/guitar), Kriz (bass/vocals) and Chris (drums). Cable35 are an alternative rock band formed in Malta but now based in Sheffield, UK. The trio decided to move to the UK due to their passion of performing live. They decided Sheffield gave them this opportunity and was kind of central, geographically speaking. The band consists of Jeff (vocals/guitar), Kriz (bass/vocals) and Chris (drums). Cable35 are influenced by punk rock and alternative bands like The Pixies, Nirvana and The Ramones. In 2011, Cable35 released their first full length album Louder accompanied by four music videos for tracks Memories, Cow Head , Saturated and Factory Floor. 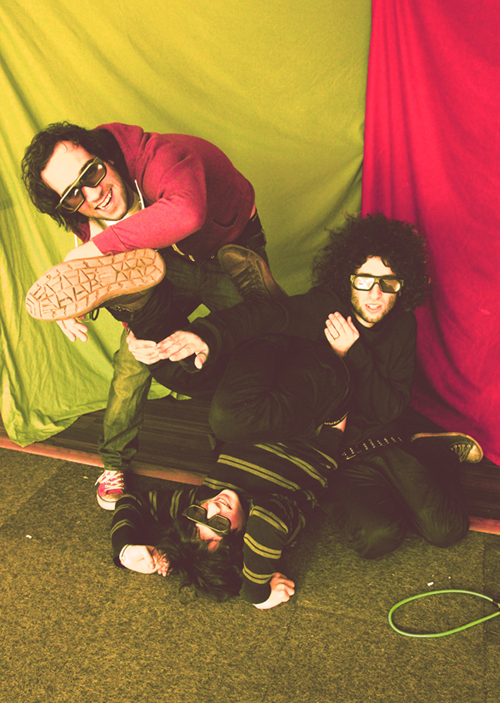 Now in 2013, they have announced the release of their new EP Fungus. The seven track EP will be released in April while the band take to the road to tour Europe. Sanitation is the first track on the EP and deceives you into thinking that Cable35 are more screamo emo than alternative rock. Don’t let this track put you off. The second track Andy Shakes is the best on the EP. It makes a brilliant rock anthem perfect for live performances and getting the audience going. It really does sound like something Nirvana might have released themselves. Rental Sunshine is the first single to be taken from the EP and can be downloaded for free from Cable35’s website. There is also an accompanying video which can be seen below. Within Cable35’s music you can hear strong influences of Nirvana and Cobain’s style of singing. There is something very 90s about Cable35’s sound. It’s a sound that isn’t heard as much today and gives you a great sense of familiarity and nostalgia when you listen to their EP. They are a blend of Puddle of Mudd, Nirvana and Oasis if you can imagine such a combination. Their unique sound is definitely something to give a go even if heavier rock isn’t for you.